Begins with a quick look at the evolution of the GG-1 locomotive. Series started with the earlier DD1 model. A mixture of still photos and film are shown in black and white. The P5 was produced in two designs. The traditional boxcab and a streamlined design. The final update to this series was the P5A. It looked similar to the GG. There were significant mechanical differences. The main weakness of the P5, was inability to handle extended high speed running. 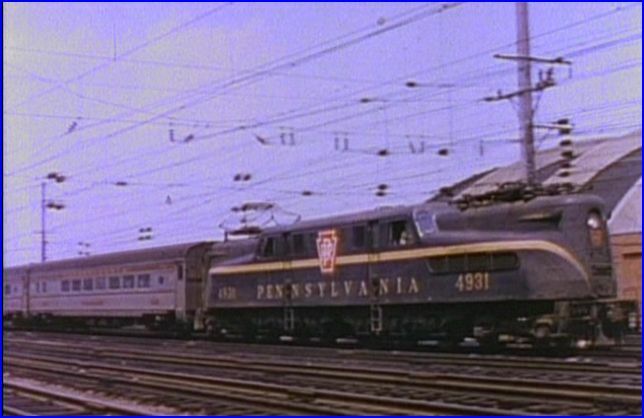 Hence, Pennsylvania management was seeking an electric locomotive, that was able to match the requirements of the railroad. 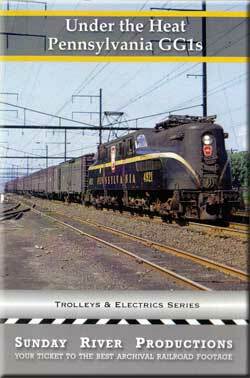 Narration is excellent, providing a solid, historical base, upon to build the story of the GG1. Color film continues for 99% of the remainder of this show. There are an endless supply of GG1 scenes. The classic paint schemes are present. Brunswick Green with single and 5 stripe schemes are plentiful. 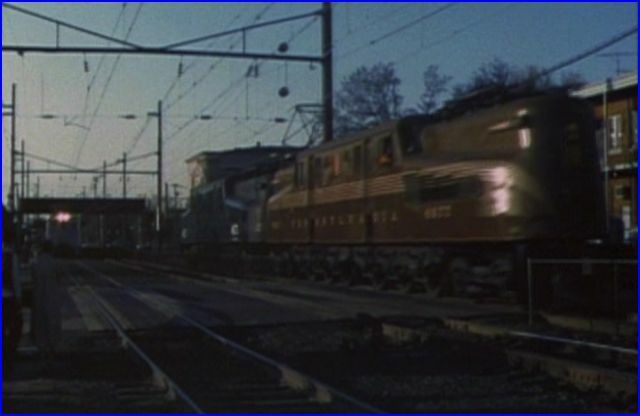 The locomotive is seen pulling passenger and freight trains. A few cameos of other power appear on the view screen. Couple of steam engines, E8’s…you’ll see. 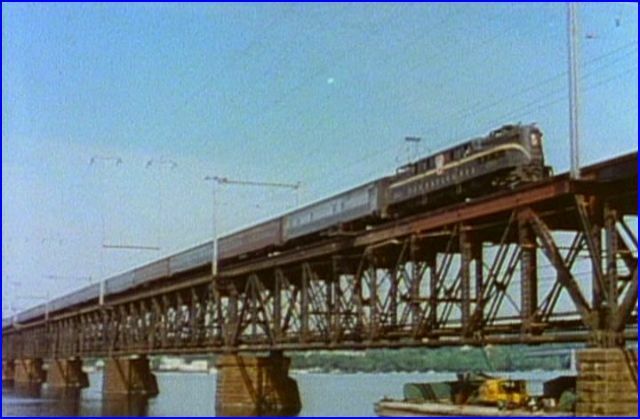 The Congressional, The Senator, The George Washington, The Crescent, The Silver Meteor are advertised as on this film. I did notice an on-screen graphic for at least one. I will trust that the rest is correct. There is a cornucopia of northeast passenger action! There some great views of classic freight trains as well. 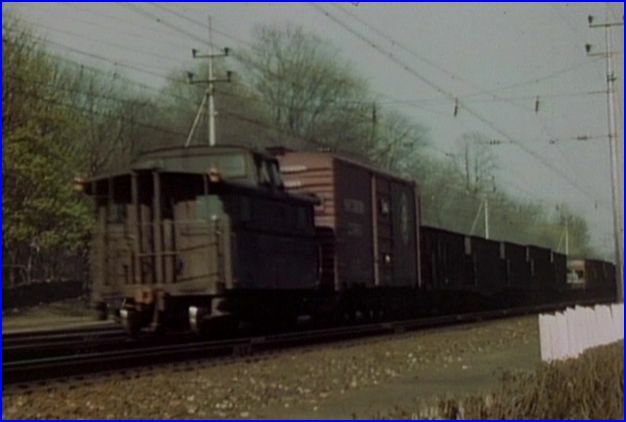 I enjoyed seeing those vintage freight cars. That is some nice editing, to let them be seen. The locations are numerous. On-screen graphics list many of the views. Sunnyside Yard, Penn Station, Harrisburg, Susquehanna River, Delaware River. South Amboy is where the electrified portion of the line ends. 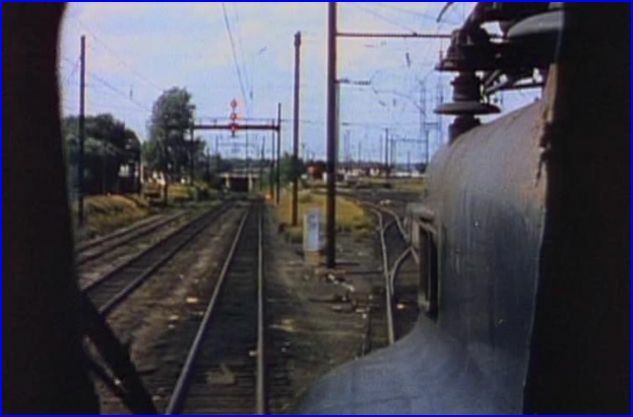 The repainted Tuscan Red with 5 stripes, #4877 is shown in 1982 footage. Newer footage is slightly dark. The GG1 presentation is a fine one. The running time is a brief 24 minutes though. 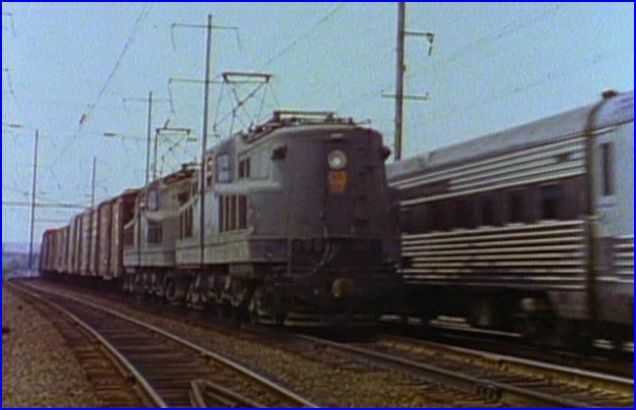 An additional segment is titled: Other Northeast Electric Locomotives. This runs for a few minutes. I consider a segment such as this one, to be a good bonus feature. New York City action at the Harlem River starts things off. Class T1-B Lightning Stripe on a passenger run. A couple of quick New Haven views conclude the program. The multitude of films have been digitally restored to a consistent, high standard. Even the black & white looks clean. Natural sound enhances the experience. The narration is informative and balanced. 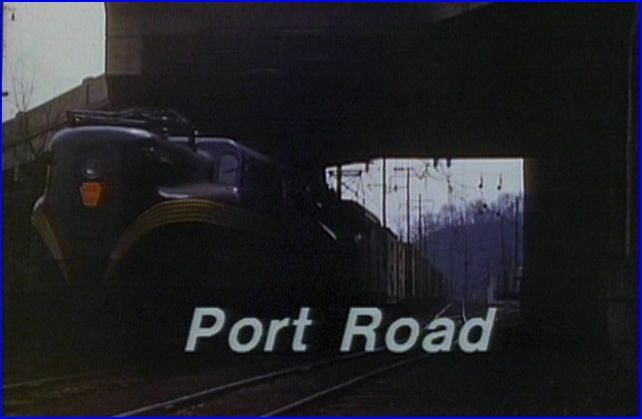 Some sequences feature the sounds of the train. An intelligent and enjoyable train video. This DVD has a chapter menu. Another fine show from Sunday River Productions! 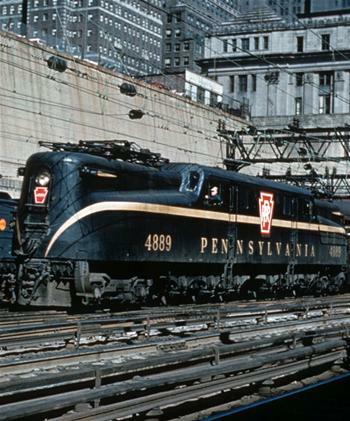 Pennsylvania Railroad and GG1 fans will love this program. 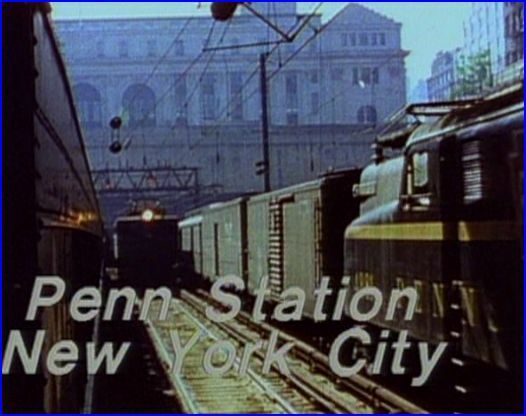 This entry was posted in ATVR Reviews, Sunday River Productions and tagged American Train Video Reviews, electric, New York Central, Pennsylvania, Railroad, Train DVD, transportation by William J. Hudson. Bookmark the permalink.